I don't really know how secure most Christians feel in their salvation. I suspect, like most things, it is a question that, were we able to probe hearts at the deepest level, would elicit a myriad of responses. It is, after all -- and must be -- an intensely personal question. While I believe that God wants all of us to be secure in our salvation, the Bible nevertheless tells us unequivocally that some will be surprised to learn that Jesus never knew them. See Matthew 7:15-23. Some of those people, I fear, are engaged in the folly of questioning the salvation of others, instead of examining the only heart they will ever have any chance to know -- their own. Some of these are no doubt the ones who sought to remove sawdust from the eyes of others -- unable to see the planks in their own. Matthew 7:1-5. 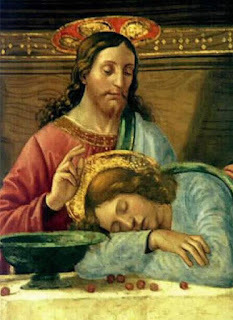 John stated the reason for writing his first epistle plainly: "I write these things to you who believe in the name of the Son of God so that you may know that you have eternal life." 1 John 5:13. God doesn't want us to be confused about our eternal destiny -- AND he has given us the opportunity for clarity. In effect, John gives us the key to eternal life, along with a litmus test to verify for ourselves that we have received it. The key should not be any great surprise to those who claim to be followers of Jesus -- yet the letter is written so that those who believe may know that they have eternal life. John repeats it again and again in this short letter. Different words perhaps, and perhaps with each repetition he takes us to a deeper understanding of this reality. But, at the end of the day, the key is simple and solitary. It stands alone as the only means of enjoying God for eternity. Faith in Jesus is our only hope. "This is how God showed his love among us: He sent his one and only Son into the world that we might live through him. This is love: not that we loved God, but that he loved us and sent his Son as an atoning sacrifice for our sins." 1 John 4:9-10. But, how do we know that we have truly put our faith in Jesus? We said the prayer and maybe even got baptized. But, others will prophesy, drive out demons and perform miracles in the name of Jesus, and yet Jesus will not know them. If those people are not saved who can be?!!! Here in chapter four John tells us for the third time how we can tell for ourselves whether we have truly put our faith in Jesus. He brings even greater clarity and depth to our understanding than he did the two times before. His point is unmistakable. John tells us that "IF anyone acknowledges that Jesus is the Son of God, God lives in them and they in God." 1 John 4:15. And here he reveals to us that "if we love one another, God lives in us and his love is made complete in us." 1 John 4:12. It is not that our love causes God to live in us -- only our faith can do that. It is that if we have faith God lives in us, and if God lives in us we love others as He loves. Jesus himself told us how to recognize those who belong to Him -- by our love for one another. “A new command I give you: Love one another. As I have loved you, so you must love one another. By this everyone will know that you are my disciples, if you love one another.” John 13:34-15. By "disciple" here he does not mean some special class of Christian, but all who claim to follow Christ. Love is the evidence that God lives in us. To drive the point whom John presents us with the stark reality that if we do not love others we do not love God. Indeed, those who claim to love God but do not love their brothers and sisters are liars. But, our capacity to love is not something to be achieved through discipline or the force of our own will. It comes instead from the very spirit of God that dwells in us. It does not lead to faith, but is the result of true faith. Again, Jesus himself has made this crystal clear for us -- His disciples will be recognized by their fruit. Matthew 7:15-20. Moreover, at least twice in this text John tells us that God's love is made "perfect" in those who believe. 1 John 4:12 and 17. Some might dismiss this as hyperbole. But God's love is perfect, and his very spirit dwells in us. The Greek word used here is τελειόω (teleioō), and it or its variants can be found throughout the New Testament. Jesus has made us, as beloved children filled with the Holy Spirit, the complete, perfect and final expression of His love on earth to the human race during this church age. We can have the greatest sermons and worship music in our churches, but we will do so without Jesus if we do not love. See 1 Corinthians 13:1-4. It seems to me that too often we think of the command to love as just that -- a call to obedience to an external command. We think it is a call by Jesus to improve ourselves -- to become better people than our neighbors who do not know Jesus. But, it is far more than that. While desiring to become better people is not a bad thing in and of itself, that is not at all the point of the second part of the greatest commandment. First, the love we show to others is probably the greatest testimony of God's work in our own lives. We like to think of a "testimony" as being about the things that God has helped us overcome in our lives -- the addictions, the broken relationships, the cancer, ... the overwhelming grief caused by loss of a child. I think, though, that the greatest testimony is not about what God has done in our past, but is found in how God is living through us in the present. It is not the tragedies that God has helped us overcome, but the capacity to love others with the infinite love of Jesus in the midst of our own suffering -- and to continue to do so when the storm has passed -- that demonstrates most clearly the majesty, the power, the glory and the love of God working in and through our lives. Second, our capacity to love is the test for ourselves of our salvation and our growth in Christ. "[W]hoever does not love their brother and sister, whom they have seen, cannot love God, whom they have not seen. And he has given us this command: Anyone who loves God must also love their brother and sister." 1 John 4:20-21. Or viewed from a slightly different angle, and as we shall soon see, we do not love God if we do not obey his commands. 1 John 5:3. If you have made Jesus the Lord of your life, and if you find yourself loving others in increasing measure, have faith that God will take you the rest of the way and that your eternity is secure. You are in a good place!! 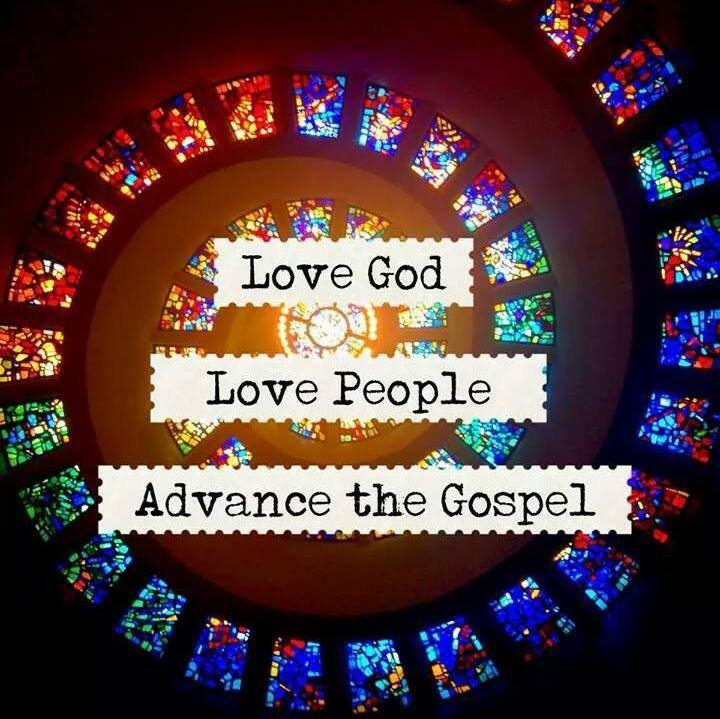 I pray that God will continue to teach all of us in increasing measure how to live out His perfect love, which is so desperately needed in this hurting and evil world.